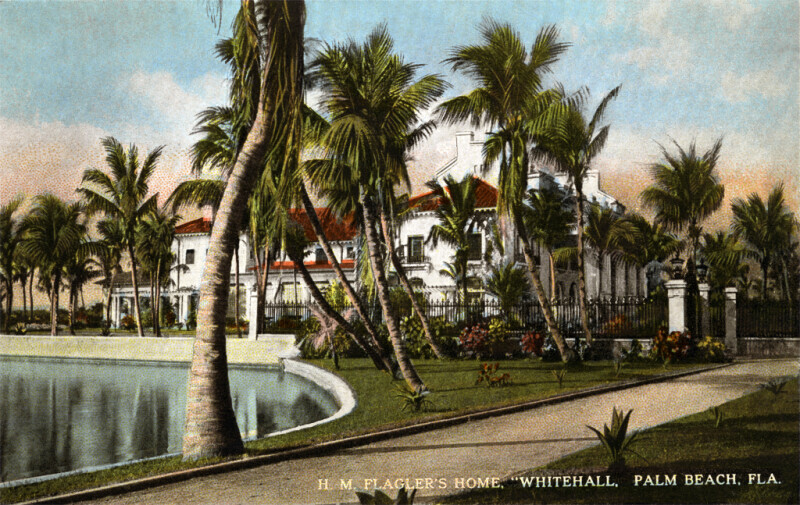 This picture shows a paved trail that runs near Henry Morrison Flagler's home. This white house, called Whitehall, has a terracotta tile roof. There is a wrought iron fence running around the house. On the left margin of the picture, there is a lake. There are palm trees growing along the shore, and flowers growing near the fence around Whitehall.